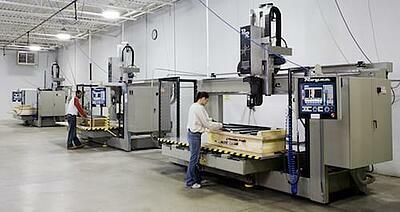 Who Are the Best Plastic Processors in Ohio? One way to make things from plastic is through thermoforming. Thermoforming is the process of heating and molding temperature-sensitive material by using sheets of thermoplastic. In order to achieve the final product, thermoforming uses several different types of molds and processes. As one of the most experienced formed plastic manufacturers in Ohio, we’re proud of our reliable, proven processes, as well as our versatility and innovation, when helping customers create their most challenging products. Aside from thermoforming, there are four other ways to make things from plastic: injection molding, extrusion molding, rotational molding and blow molding. While choosing the right plastic processor for your production efforts can be a challenge, we’ve put together a list of four suppliers in Ohio who specialize in injection molding, extrusion molding, rotational molding and blow molding that will help in your decision making. These companies have demonstrated that they have experienced processing knowledge and the technology to ensure you achieve high-quality products on time and on budget. Located in Niles, Ohio, Dinesol Plastics, Inc. is a full-service injection molding solutions provider. Injection molding is the process of creating parts by injecting heated material into a mold. With over 100 years’ experience in the plastic extrusions industry, Plastic Extrusion Technologies in Middlefield, Ohio, is ready to assist you in the design, production and finishing of your extruded plastic profiles and plastic tubing products. A leading rotomolding plastic manufacturer, Hedstrom Plastics in Ashland, Ohio, has more than 35 years’ experience with the rotomolding process. Rotomolding—also known as rotational molding—is the process of creating hollow plastic products from flexible PVC, nylon, polymer resins, cross-linked polyethylene, high- and low-density polyethylene and urethane foam. Paarlo Plastics, Inc. in North Canton, Ohio, is a quality, custom blow molder of standard and engineering grade thermoplastic products. Blow molding is a manufacturing process by which hollow plastic parts are formed. Now that you know some of the top Ohio plastic processors in injection molding, extrusion molding, rotational molding and blow molding, you can choose the right one for your needs. These companies will help keep your production efforts on time and on budget. Do you know of any other great plastic processors in Ohio? Leave us a comment below.